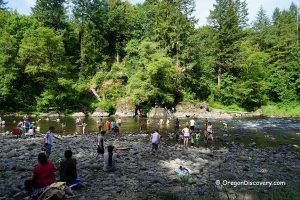 Located a few miles from Molalla on the bank of the Molalla River, the Feyrer Park offers a variety of recreation opportunities. 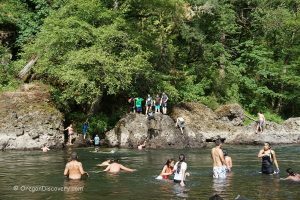 There are three reservable riverside picnic areas, softball, volleyball and horseshoe facilities, and playground for kids. You can come for a day or use RV suitable/tent campsites. 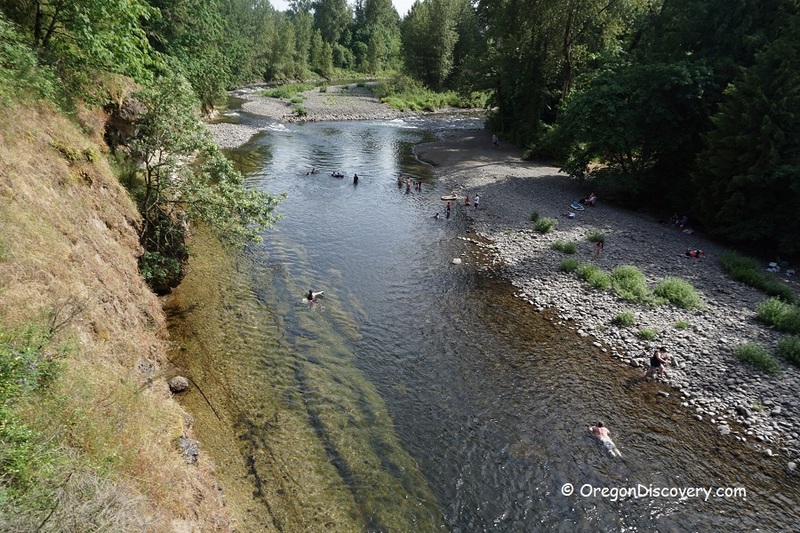 There are two beautiful swimming holes, one of them with swinging rope and a rock jumping. 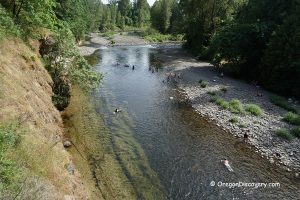 From the intersection, I-205 and Highway 99 E in Oregon City, take OR-213 S/Cascade Hwy S and S Union Mills Road and follow 16.5 miles to S Wright Road, after continuing 1.7 miles on S Wright Road, turn right onto S Feyrer Park Road.